I took a class at an amazing specialty craft store called Queens Ink at Historic Savage Mill and learned about Dylusions Ink Spray. 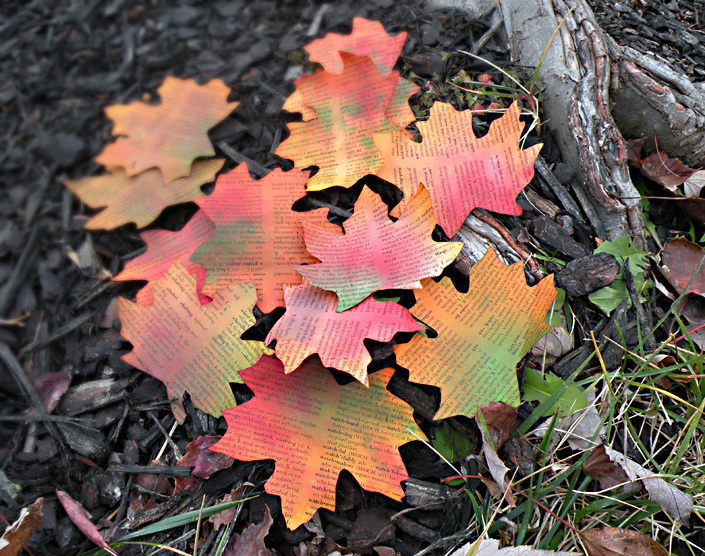 As soon as started using it, I envisioned myself transforming old books into autumn leaves. I had some dictionaries laying around that I no longer had use for except to weigh down some of my art projects. With the abundance of information accessible through the Internet, I don’t need a dictionary anymore. 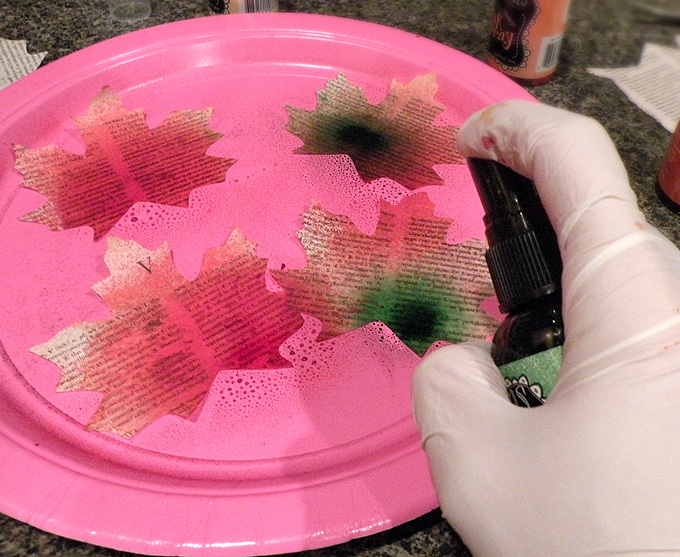 I hope the word police don’t chase me down for cutting up books for my craft projects. I went outside to gather some leaves. 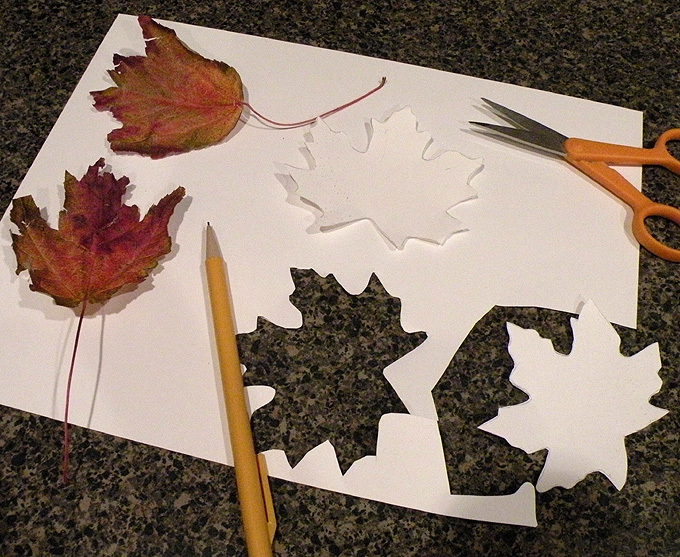 I traced some of the perfect leaf shapes on card stock to create my leaf template. 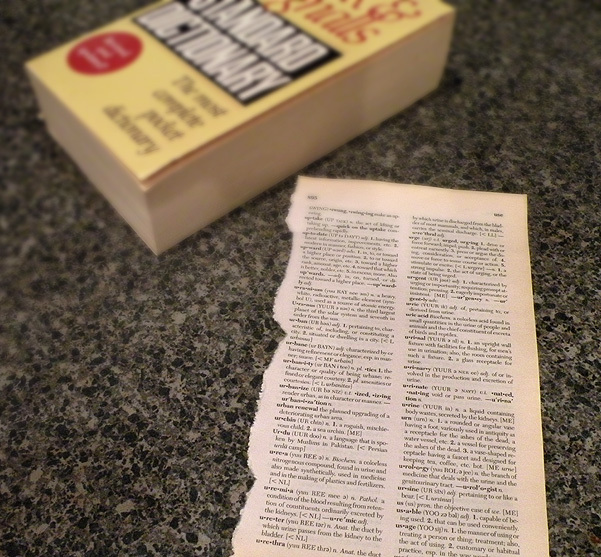 I tore out some pages from an old dictionary and cut out leaves from my template. I stacked about five or six pages together so I could make a lot at one time. 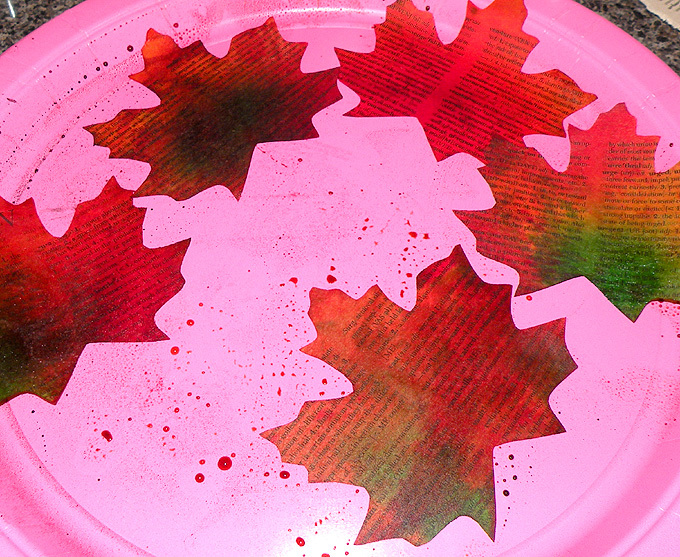 I put on rubber gloves because the ink will stain your hands, laid the leaves down on a paper plate, sprayed them with water and then began with the colors. You don’t need to spray much because it goes a long way. 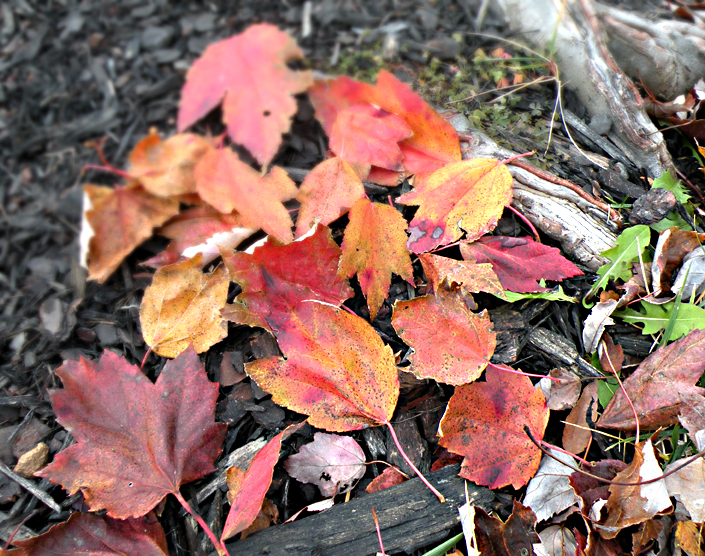 You can rub the leaves together to meld the colors. Spread them out and let dry. After the leaves have dried, you can use a pencil to curl the edges to simulate the shape of real leaves. My dictionary leaves. I think I like my version better. They really came out beautiful. I am going to spread them around my Thanksgiving table to add a festive touch and also serve as a conversation piece. Maybe everyone will learn a few new words while they are gobbling down the turkey. 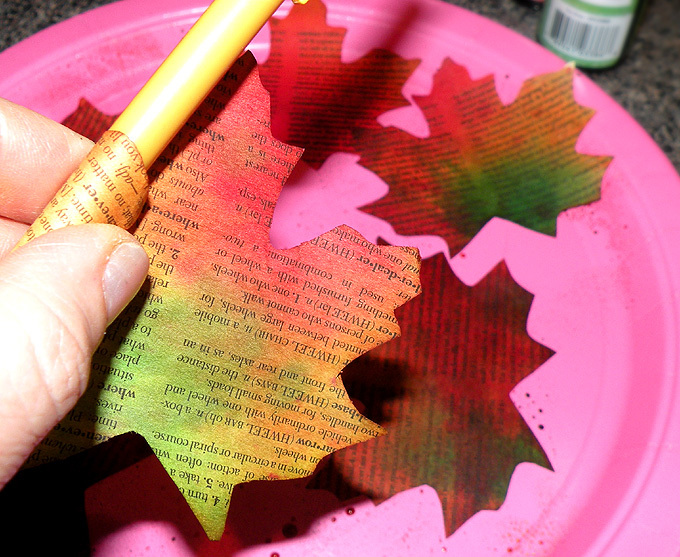 This entry was posted in Crafts, Recycle, Uncategorized and tagged autumn leaves, dictionary, Dylusions Ink Spray, Gina Tepper, paper leaves, Queens Ink, Ranger, Savage Mill. Bookmark the permalink.